After escaping from their cruel aunt and uncle, orphans Prosper and Bo meet a mysterious boy who calls himself he "Thief Lord." 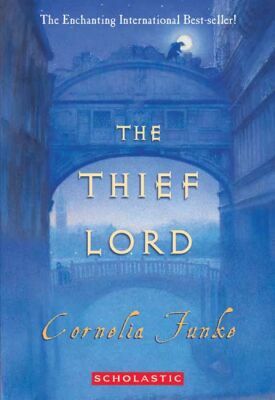 Clever and charming, the Thief Lord cads a band of street children who enjoy making mischief. But the Thief Lord also has a dark secret. And suddenly Prosper and Bo find themselves on a fantastical journey to a forgotten place. What they discover there will change he course of their destiny... forever.